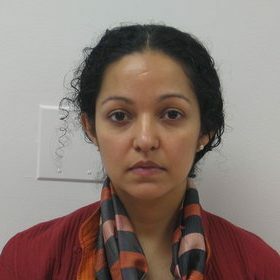 Manjari Mahajan is an Assistant Professor for the Graduate Program in International Affairs at The New School. Her interests are in how technical knowledge about health, environment, and development gets constituted alongside emerging political and legal orders. She has conducted research on the AIDS epidemics in South Africa and India, the emergence of new ethical and scientific regimes in global health, and the role of intellectual property regimes in shaping agendas in public health and biomedical research in the global South. She is currently working on a book manuscript that is provisionally titled The Anatomy of Humanitarian Emergencies: Science, Citizenship, and Global Governance in the AIDS Epidemics of India and South Africa. Mahajan received her PhD in Science and Technology Studies from Cornell University in 2008. She holds a MSc in Science Policy from SPRU at Sussex University, and a BA from Harvard University. Before joining the New School, she had a two-year postdoctoral fellowship from the Social Science Research Council (SSRC).